I’m reserving my judgment of the LX 570 exterior until I see it up close and personal, which looks to me to be rather “bubbly”, particularly around the front fenders. 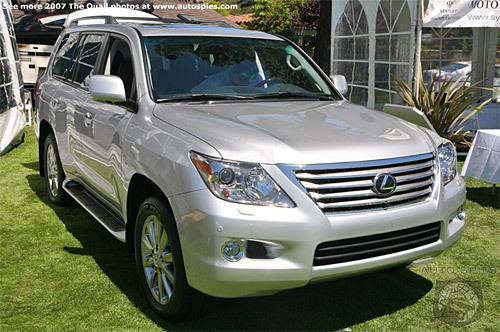 I do like the LS-style front-end, but I prefer the boxy look of the LX 450/470. It’s hard to fault Lexus for bringing each of their vehicles under their L-finesse design, though. I especially like the tailgate design, with the lights being part of the rear window section, very sharp implementation. The interior seems very family oriented, spacious and well-planned, though it’s a shame that due to the rear axle, the third-row seats can’t fold flat.